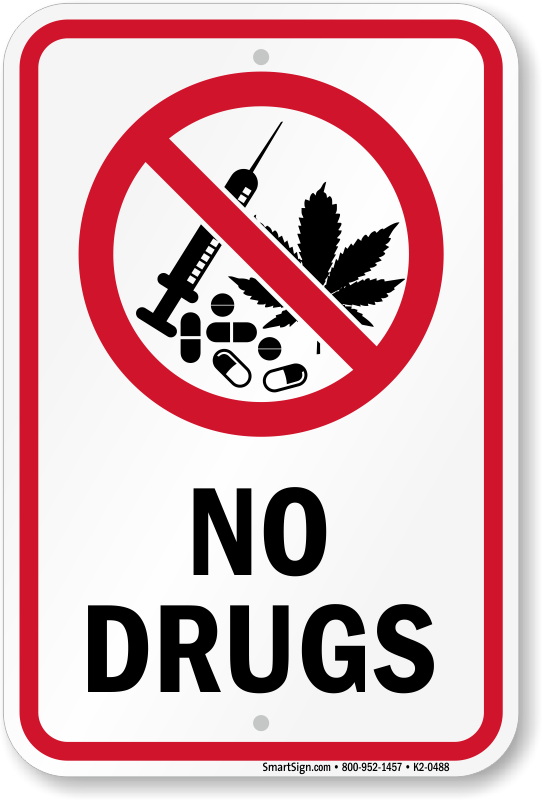 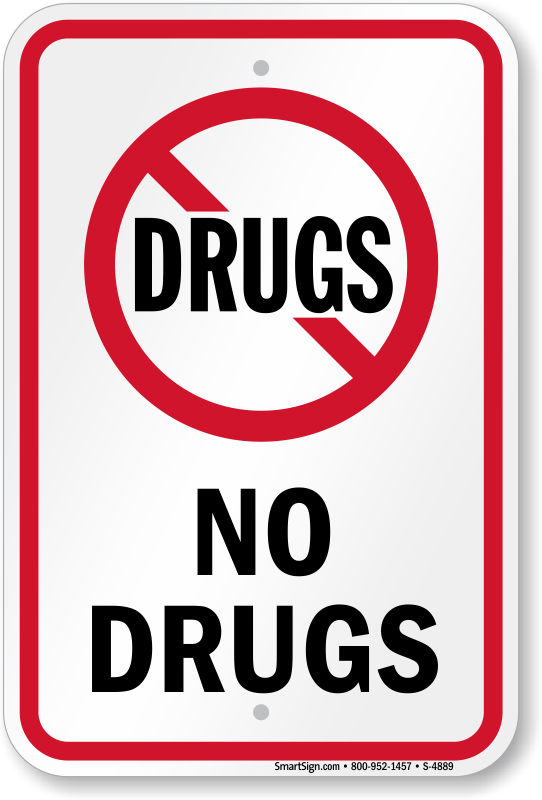 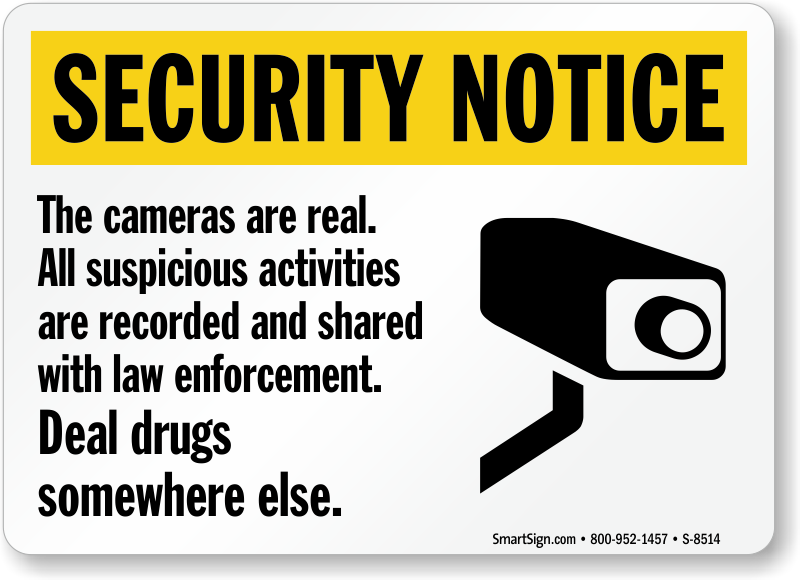 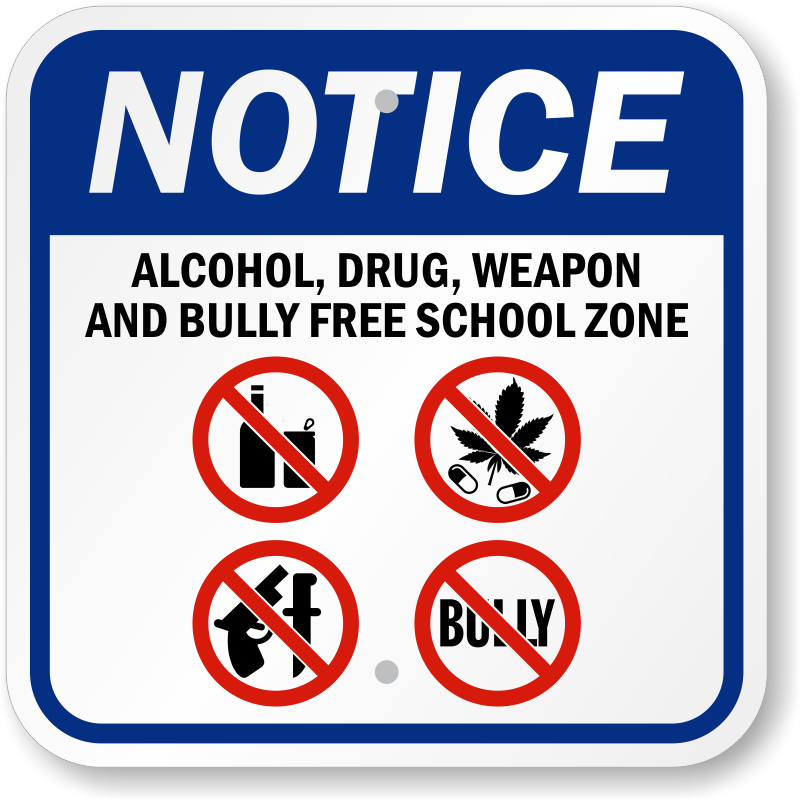 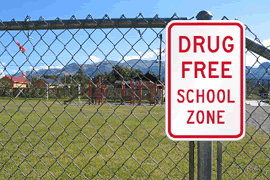 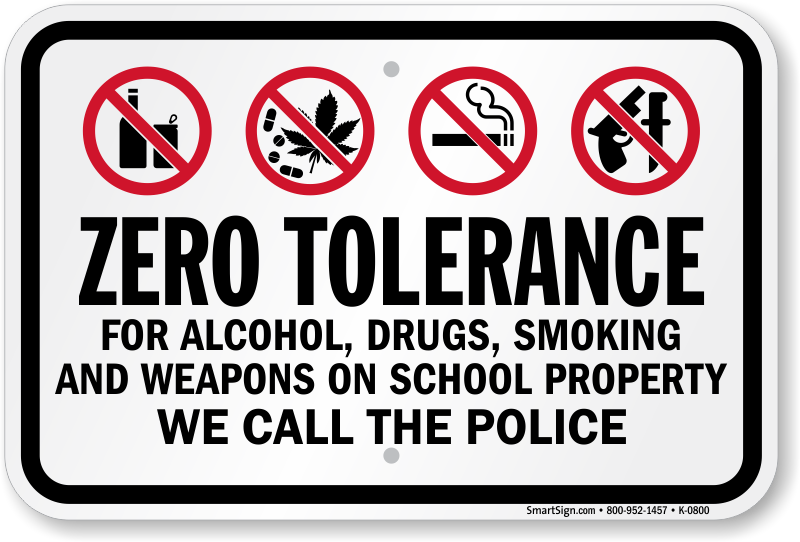 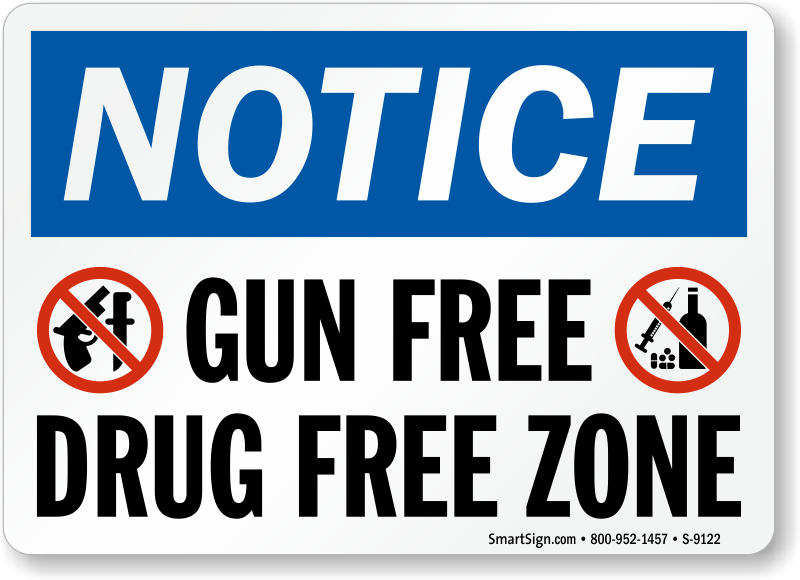 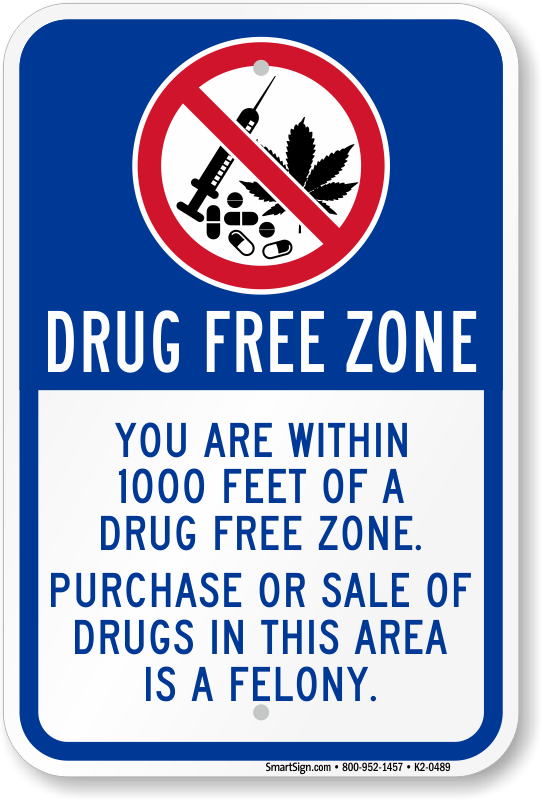 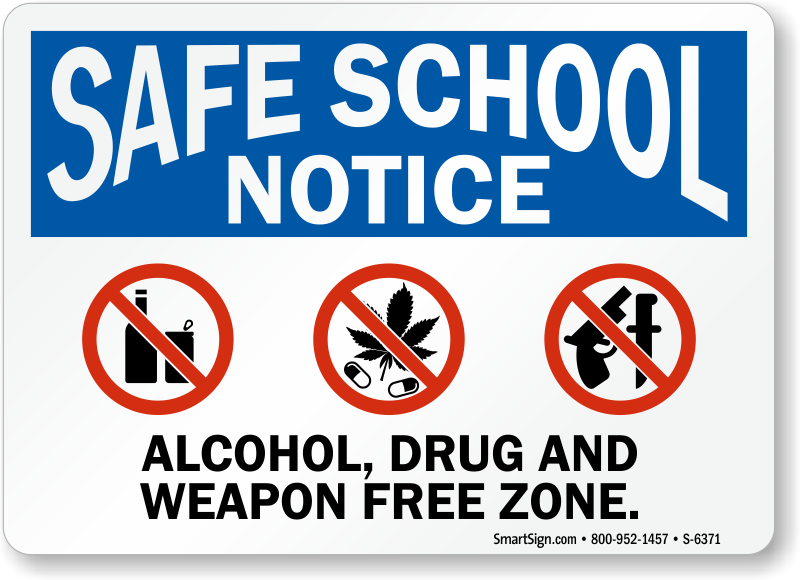 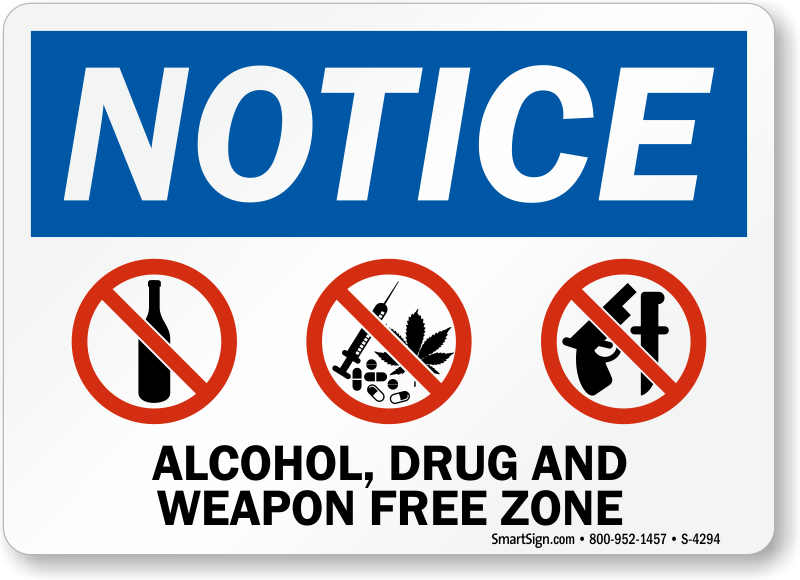 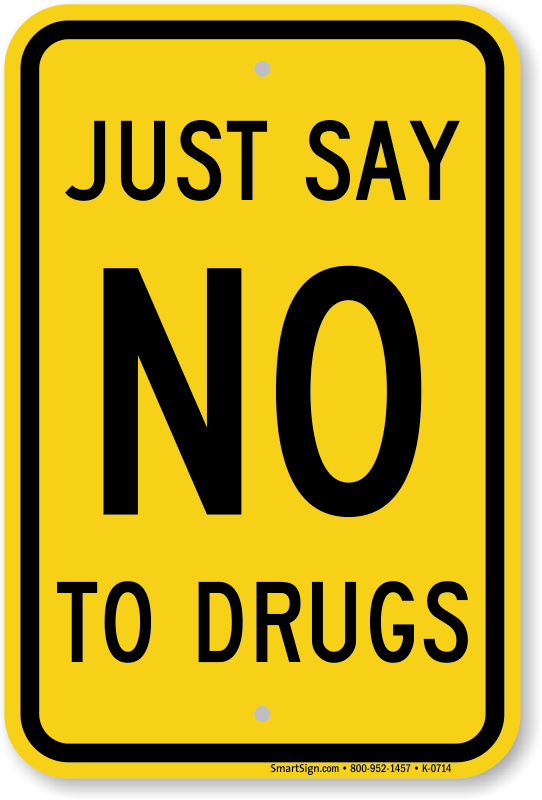 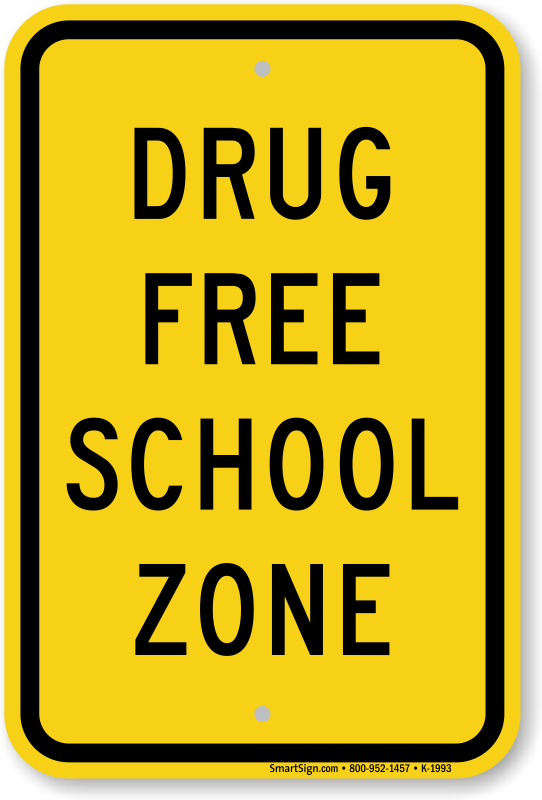 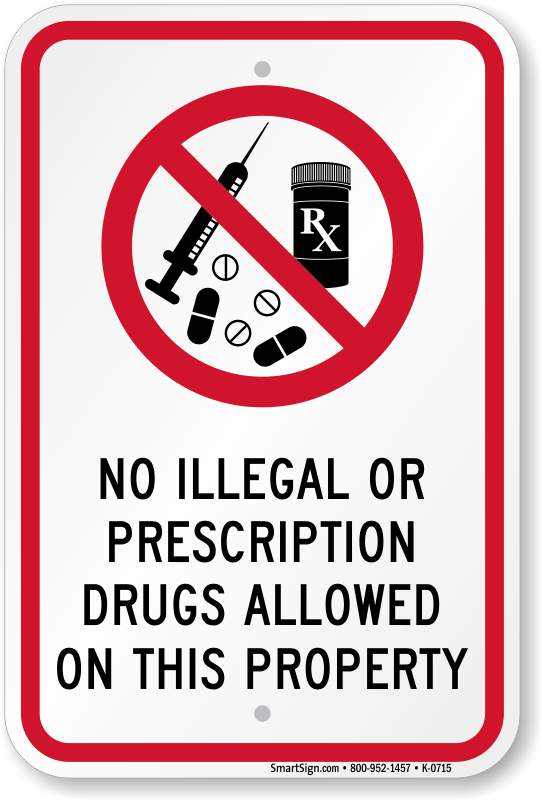 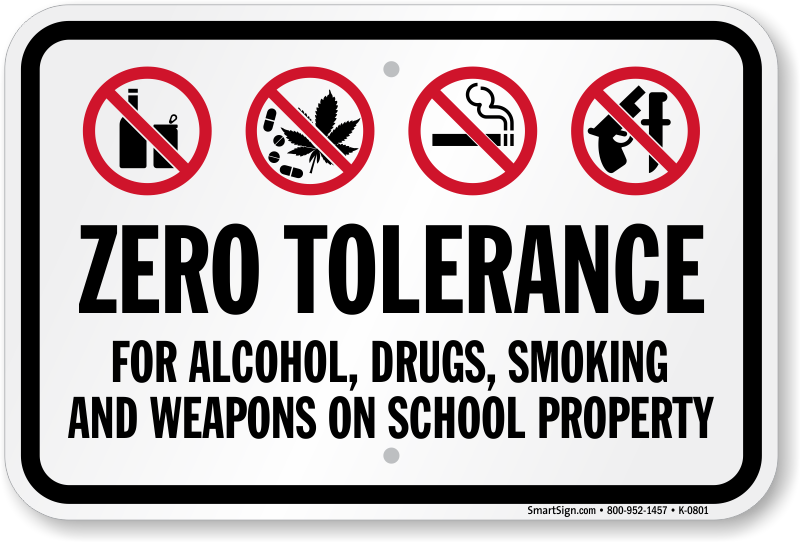 A Drug-Free Sign enforces one of your most important policies to protect students, employees, or visitors. 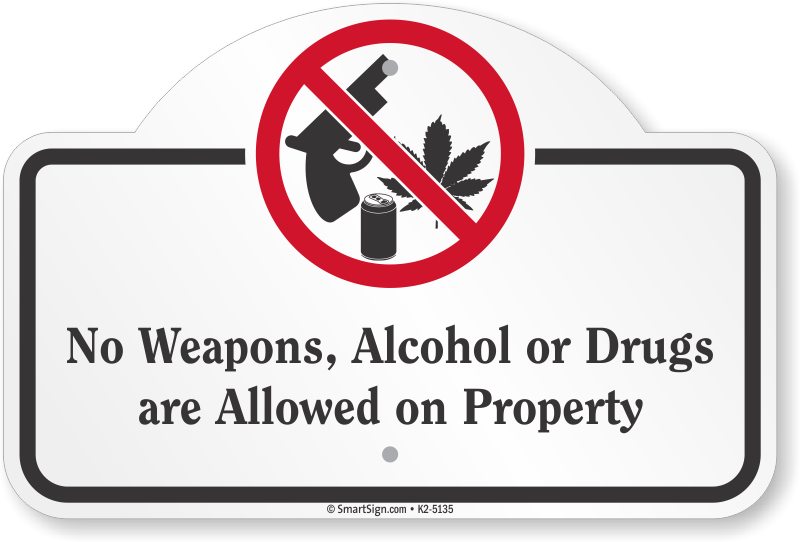 Discourage drinking and dangerous behavior on your property. 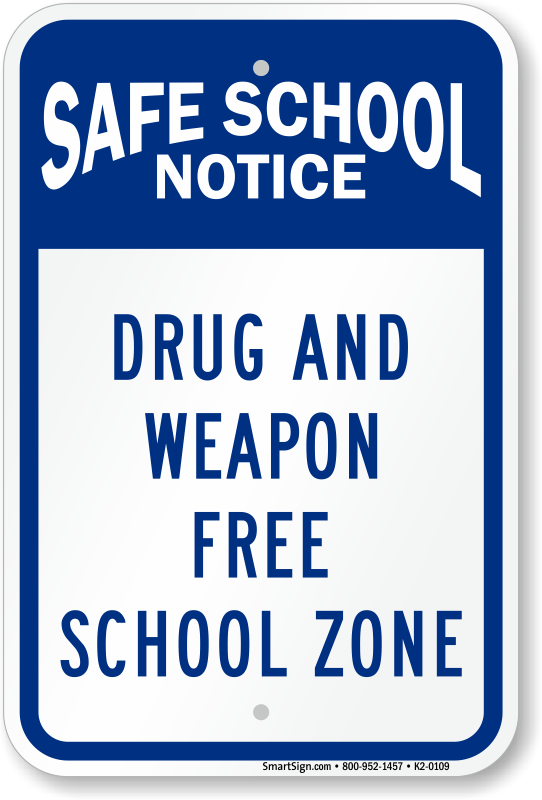 • Keep your school or facility drug-free. 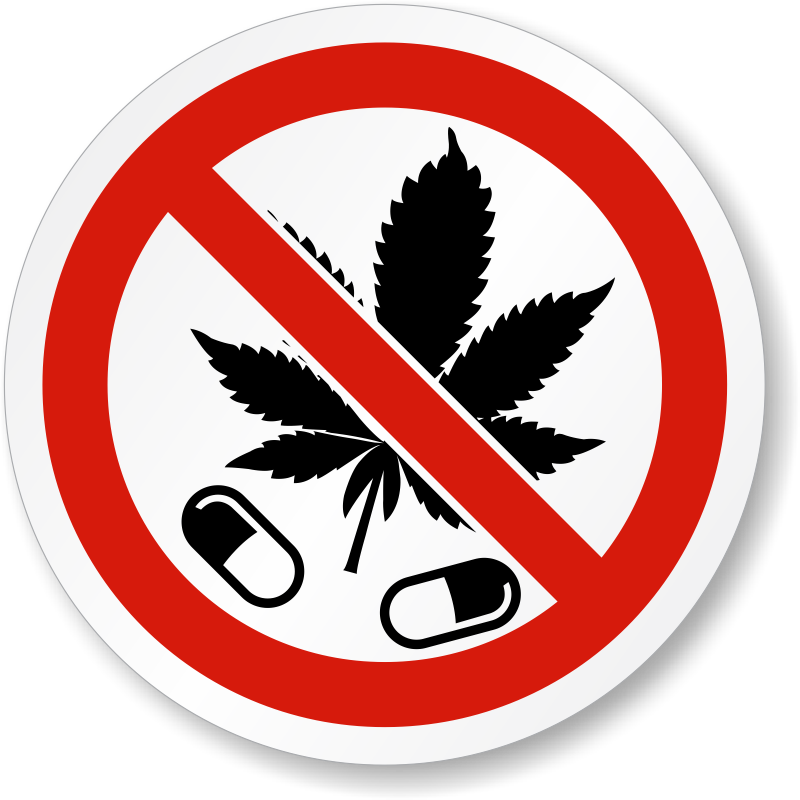 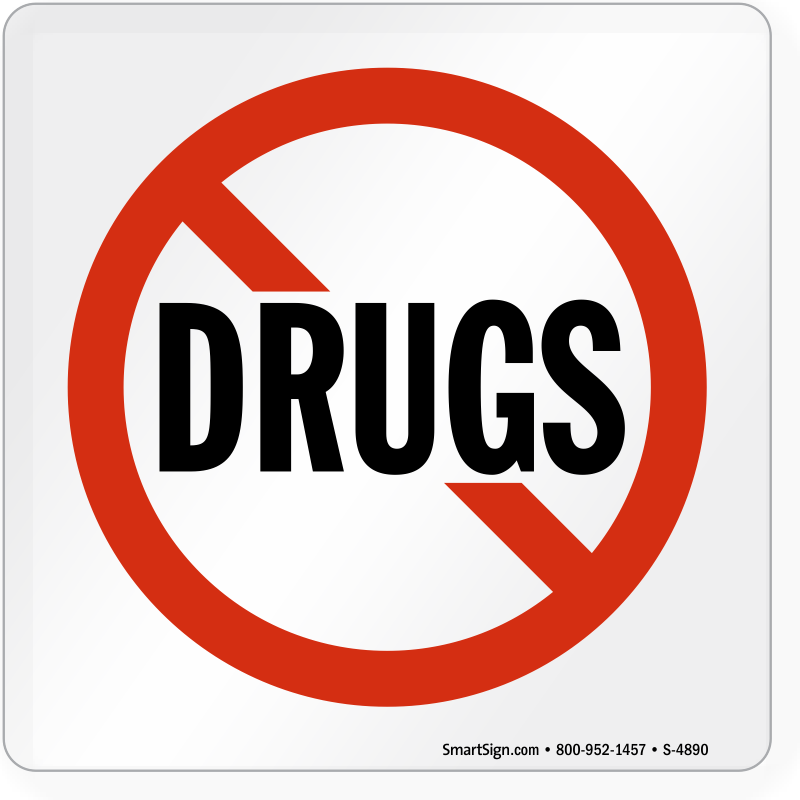 Discourage drug activity of any kind with stern warnings and threats of prosecution for violators. 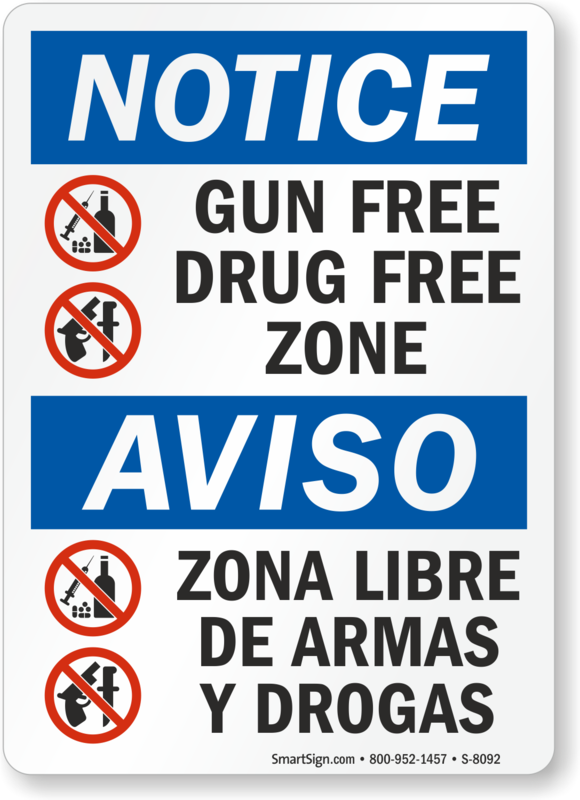 • Rust-proof, durable aluminum with predrilled holes for simple installation on fences, walls or posts. 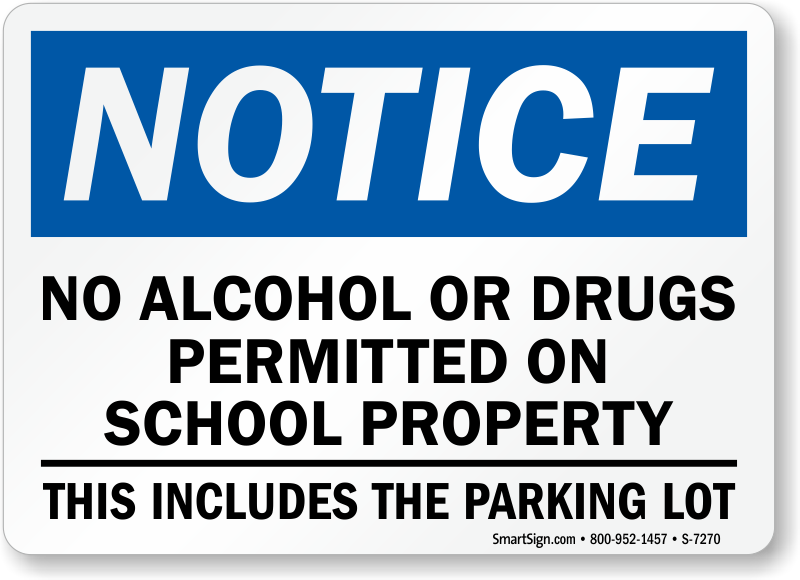 • Bold colors and graphics stand out in a parking lot or common areas. 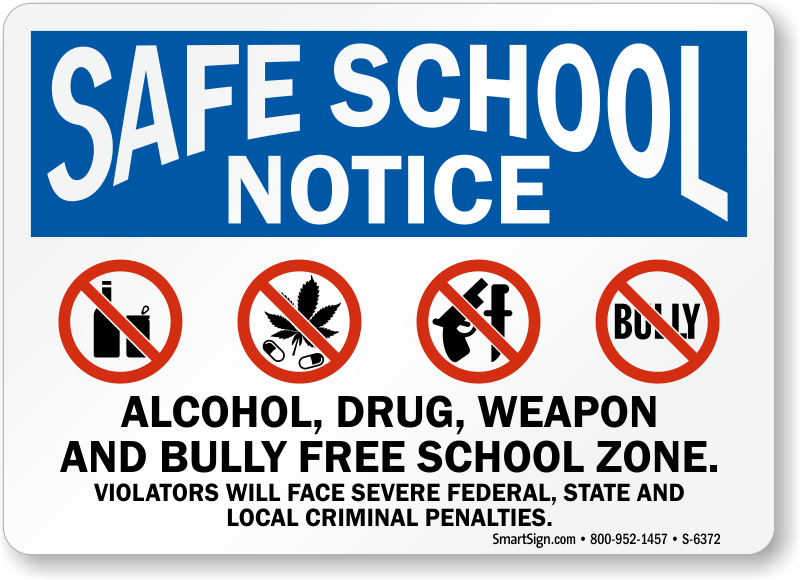 • Scroll below for a preview of prices and material specifications.